John Gould Veitch and Henry Veitch were two of the most famous planstmen of Victorian and Edwardian times. They were particularly interested in flowering trees and shrubs, and displayed a fine selection in their nurseries at Coombe Wood, Kingstorn-upon-Thames, on land that was leased from Sir Arthur Paget, who owned the adjacent Warren House – as explained in Chapter 32. Part of the nursery was laid out as a Japanese-style water garden, consisting of a series of small lakes, linked by streams, that were fed by a number of underground springs. The land was taken back by Sir Arthur Paget in 1913, when the lease expired, and they were included in the major re-landscaping project done by James Pulham and Son. These gardens extend over some three acres in quite a steep valley, and abound with acers, including the ‘pocket handkerchief tree’ and many other rare species. There are welcoming Japanese gateways, rocky streams and gentle cascades, pathways through rocky clefts, Japanese bridges, and even a Japanese Teahouse. These gardens were sold off when the new Warren House Conference Centre was established in 1988, and two blocks of private apartments were built on the land where the Coombe Wood Nursery previously stood. This development is known as ‘The Watergardens’ because of its Japanese-style garden, and, thankfully, they still exist, and are maintained by the residents in superb condition. A full description of the work done by James Pulham and Son at ‘The Watergardens’ – together with a number of pictures – can be found in Chapter 33 of Rock Landscapes: The Pulham Legacy – the critically-acclaimed and lavishly illustrated definitive story of the lives and work of James Pulham and Son. Written by Claude Hitching, with featured photography by Jenny Lilly. Published by Garden Art Press. 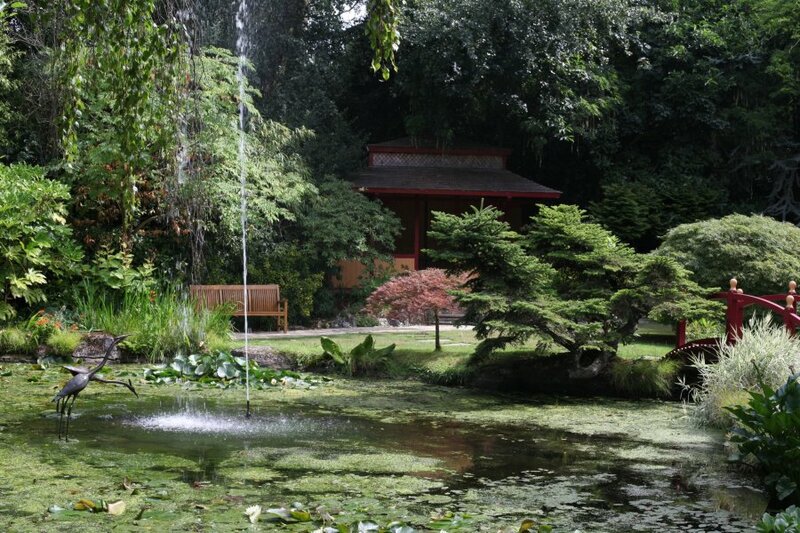 Posted on October 5, 2014 June 30, 2016 by Claude HitchingPosted in Book ContentsTagged 'The Watergardens' - Kingston-upon-Thames, . . James Pulham and Son, Claude Hitching, Henry Veitch, Japanese Teahouse, Japanese Water Garden, John Gould Veitch, Rock Landscapes: The Pulham Legacy, Sir Arthur Paget.